La vie Jaime : Eden Jewelry Review & Discount! Eden Jewelry Review & Discount! The team behind Eden Jewelry was kind enough to complimentarily send me this amazing feather 2-finger ring, part of the new fall/winter collection. I was thrilled when I received it, as it is very much my style and was the perfect accessory for my Rendezvous New England outfit! I had also seen the 2-finger ring featured in gold in the October issue of Glamour- snapped this photo when I was getting my hair done. The detail is amazing; it feels and looks like it was an actual feather that was dipped in metal. I was also impressed with how heavy the metal is, a nice change from the cheapie jewels I normally wear. 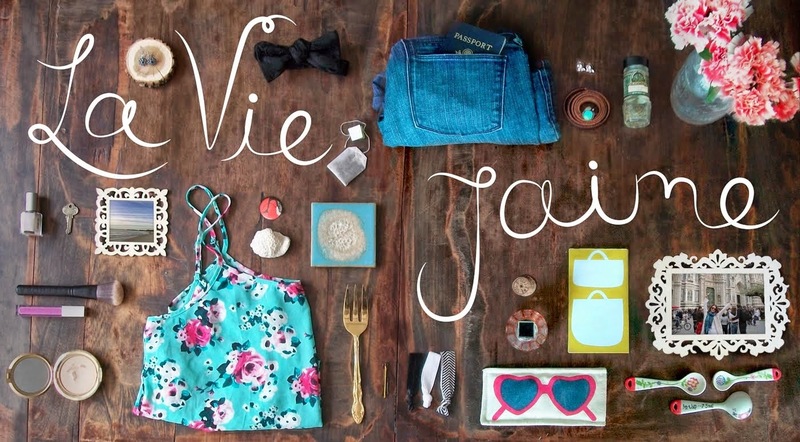 Lucky for you, La vie...J'aime readers are getting a discount on all Eden Jewelry through September 30! Simply enter LAVIEJAIME20 at check-out. Thanks again to Eden Jewelry! I love two finger rings, and this one is beautiful! On a separate note, we're hosting a Boston Fashion Week clothing swap on the 29th and I would love to see you there! There are so many Boston bloggers I haven't met yet! For tickets, go here: http://bfwswap.eventbrite.com/ and you can enter ORCHIDGREY for 25% off! Hope to see you there! It looks super nice! I love it! Very unique! Gorgeous ring, I will have to check out their stuff! I was so sad to miss the rendez vous, looked like such a great time.